Chinese-Thai joint venture SAIC Motor-CP, which produces and markets MG cars in Thailand, has broken ground on its second assembly plant in the Kingdom, the Bangkok Post reports. The factory is located at the Hemaraj Eastern Seaboard Industrial Estate 2 in Chon Buri province. In May, the company announced plans to build a second 700,000 sqm plant that will handle MG vehicle production processes such as body assembly, vehicle assembly and painting under one roof. The total investment in this second plant was not disclosed, but the report estimates around 30 to 40 billion baht. The JV was founded in 2012, a marriage between the Chinese carmaker and Thailand’s giant Charoen Pokphand Group conglomerate. The former owns 51% of the concern. Its first nine billion baht factory started operations in June 2014 at the first phase of the Hemaraj Eastern Seaboard Industrial Estate in Rayong. Production capacity is 50,000 units. The president of SAIC Motor, Chen Zhixin, was quoted as saying that Thailand will be the company’s right-hand drive production hub, and the company plans to produce 300,000 units a year in the Land of Smiles in the future – SAIC Motor-CP was one of the ten car companies that applied to join phase two of the Thai government’s eco-car scheme, and a clear eco-car plan will surface by 2018. 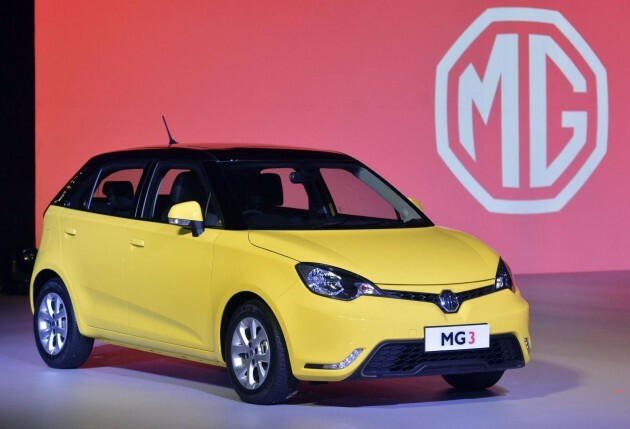 Currently, MG sells four Thai-made models in the country; the MG3 hatchback, MG5, MG6 and MG GS SUV. It sold 3,779 units last year, and this year’s target is 10,000 units. To match the capacity of its Thai plants, growth will have to continue on that sharp trend. In May last year, it was reported that SAIC had signed an assembly and distribution deal with Weststar Maxus that will see the MG brand make a return to Malaysia. That development superseded the 2013 MoU between SAIC and Federal Auto to look into reviving the brand here. With the lack of development on the home front, and the Chinese company ramping up its activity in Thailand, it appears that the deal has gone into cold storage. If that’s true, it will be unsurprising, as these are lean times for the auto industry and market sentiment isn’t very rosy – not a great time for a new Chinese brand to enter the scene for sure. Don’t worry, there’s a ton of Chinese car companies left. More Chinese cars will come to ASEAN soon and it’s up to the government, MAI and relevant parties to convince them to invest in Malaysia. Still, SAIC MG is one of the better Chinese car companies, so it’s sad to hear that they’ve chosen to build their second ASEAN plant in Thailand and not here. We cant have it all, so be happy lah, bro!